Are you looking for new Blinds? If your looking for Venetian Blinds or more from a high quality blinds supplier in Northants & Rutland, then we at Viking Blinds can help you. Viking Blinds is our sister company and have been providing our customers with fantastic looking window dressings for many years. 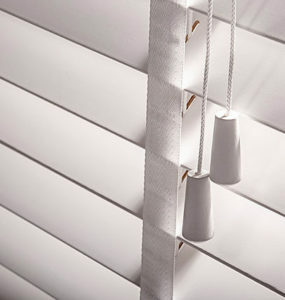 Our expertise includes the supply and fitting of many different types and styles of blinds. These include - roller blinds, vertical blinds, faux wooden, and venetian blinds and many more. We are more than happy to provide you with a free quote, and information on the best solution for your needs, so please don't hesitate to give us a call, we would love to hear from you. 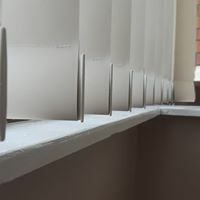 “Recently had some Faux Wooden Venetian Blinds fitted to the front of our house by Viking Blinds. Great service and price. Will book again for the back of the house after xmas”. We have a great collection of roller blinds for you to choose from and they are an ideal choice for the home with our extensive range of colours and fabrics. Our fabrics are also available in a water resistant print, which makes them a great choice for the bathroom or even the kitchen, or if you would prefer you can select a blackout lined blind for enhanced comfort. 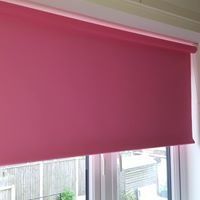 You can opt for a scallop, braid, cassette or pole to fully customise your roller blind making it truly tailored to you. Our range of vertical blinds are practical and at the same time, stylish and modern. We have a great choice of plain, patterned and textured fabrics to help you design your room. Our Vertical Blinds are made to measure to meet our customer's exact requirements. Because they can rotate 180 degrees, it means they give you complete control over light levels, giving you privacy where needed. Venetian blinds are a practical choice of blind for your home and we can offer a great range of colours and fabrics to suit any room. Our modern and stylish venetian blinds come in a fantastic wooden and aluminium range and are made to measure to meet your requirements. What do we do on a visit? Choosing the right blinds for your home can be a bit confusing with the massive choice on offer. So let us help you make the best choices for your home by calling us today for a no obligation quote.